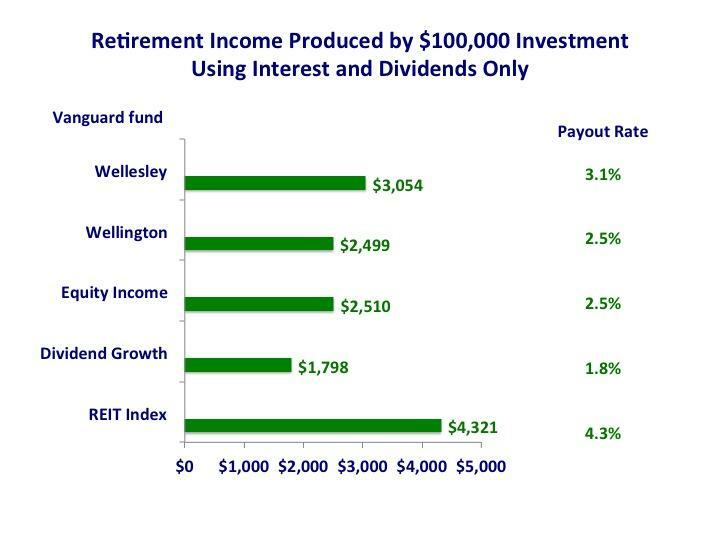 The DIV-Net: Are Dividends the Best Retirement Planning Strategy? Planning ahead, especially when it involves money is never easy to do. However, there comes a time when all the plans and savings you’ve made will decide your lifestyle. That time is called ‘retirement’. Statistics show that 6 out of 10 people have never even thought about what they’re going to do regarding money when they’re retired, and that is not the appropriate attitude. Therefore, if you’ve come to terms with the fact that your future depends on the decisions you make now, here’s a brief guide on what you need to know about retirement planning strategies. Also, we are going to discuss whether dividends are the best option for you or not. There are many reasons behind that particular statistics which says that 6 out of 10 people have never even thought about their retirement plans. Some don’t have the time to do something about it. Others don’t have the financial means to ensure an income for their aged selves, while many simply live in a utopian everlasting youth, where even imagining yourself as being old is ludicrous. Set realistic goals for yourself. Statistics show that 39% of retired people have underestimated their expenses, which actually increased after they stopped going to work. So, this piece of advice means you should carefully, and as correctly as possible, calculate what you think you are going to spend as an elderly person. This way you can start putting money aside accordingly. It might seem daunting at first because your savings will be quite high, but remember you will need to be comfortable when you stop working as well. You can use an online calculator, such as the ING one, to see if you can save enough to be comfortable at an old age. Ask for expert help. Building on the previous idea, it’s probably best if you ask for help from a qualified professional, who can make sure you are indeed setting a realistic goal for your golden years. Actually, a recent poll conducted by the Employee Benefits Research Institute shows how people with a retirement plan are happy about hiring professional services to help them sort things out. Make use of online calculating tools. Some websites that offer registered software which will help you plan your retirement. You have to log in and the service will calculate everything and present you with all the options. The best thing about it is that absolutely no aspect gets overlooked. Keep on saving so that you can catch up on retirement funds. If you’re over 50 and working, you can still catch up on your retirement funds. Experts advise putting some supplemental money into accounts like the 401(k)s or the IRAs, which are special tax-free retirement accounts. With the 401(k) you can save up to $20 000, and with the IRA some $5 000. Plan your retirement date. Sometimes, no matter how much you save, it simply does not turn out to be enough, especially if you didn’t start early. In this case, you have to delay your retirement. The good news is you will have plenty of company because more and more people opt to stay a while longer in the working lines. This is an excellent opportunity for you to make the best out of your company’s retirement plan, especially if you’re staying with them longer than expected. Take care of your debts. A critical issue when it comes to retirement funds may be caused by remainder debts. The best thing you could do is to try and pay them all off while you are still working and you have steady money coming in every month to help pay the loans. When you retire, you’ll have to tap into your savings to do so and that might lead to unexpected consequences. Prepare for the unexpected. While we’re on the subject, the unexpected plays a major part in retiring as well. Unexpected things happen during your entire lifespan, not just when you retire, but when you work, you can face them better because of the steady cash flow your job provides. Once again, unexpected things, such as health problems, surgery, and home related issues will make you reach for your savings bank. 401(k) plan (including the JPMorgan Chase 401(k) Savings Plan) works in a very simple way: while you are still employed, you defer a part of your income into an account, which is tax-free. Your employer should mirror your contribution, never exceeding 25% of your salary or $30,000. Employees are also allowed to decide as to how these funds will be invested. 403(b) and 457 plan was designed and sponsored for people who work in universities, schools, colleges, governments, and all other entities that are normally exempted from paying taxes. Defined Benefit Pension Plan is the classical retirement plan, where a person receives a monthly fee after he has retired, so that he can sustain himself. Normally, the companies that person has worked for during his lifetime will feed the fund where the retirement money will then come from. Individual Retirement Account, by definition, is a rather personal, non-qualified retirement plan. A person establishes an IRA and, following this plan, he or she can then feed that IRA with a maximum of $2,000 a year out of their earned income. Traditionally, IRA earnings are always taxed upon withdrawal. Life-insurance plan is an alternative for people with high salaries, whose retirement expectations cannot be satisfied because of the contribution limits imposed. Dividends make for a retirement plan many people appreciate. However, there are some caveats to take into account. Joining different retirement American planning companies. Some of the best examples are JP Morgan, Vanguard, or Charles Schwab, and they are helpful as a self-employed retirement plan. Are Dividends the Best Retirement Plan for You? Before considering if dividends are, in fact, the best way to go when it comes to choosing a retirement plan, one must first understand what dividends are and how they work. Making the investor’s shares more valuable as the company’s stock price grows over time. Companies usually pay dividends every quarter in cash. Shareholders with preferred stocks will always get fixed-rate dividends and stock shareholders receive payouts at variable rates. Coca-Cola – the main reason to invest in it is the fact that it’s an absolute giant which will manage to stay on top of the market no matter what, using its tradition, brand, and unique drink. Altria Group (MO) – given the fact that they produce cigarettes, it’s almost sure that they will remain ahead of the game for a long time to come, ensuring you get your dividends. Wells Fargo (WFC) – this is the country’s biggest bank and it’s very loved by all people who have taken it up as a dividend based retirement plan, including Warren Buffet. 3M (MMM) – this company’s business file is so diverse, it’s almost impossible not to yield any profit at the end of a quarter. Among other things, they stand behind Scotch Tape, Filtrete, and Peltor. AT&T (T) – this particular example is comparable with Coca-Cola as far as brand and size are considered, which are almost guaranteed to fill your pockets. Here are some pros and cons of dividends, which can help you decide if this is the perfect retirement plan for you or not. They have potentially higher returns, which means that you can win back more money than you’ve invested to begin with. As an investor you can always use dividends to hedge against rising inflation on the long term. Some companies you invest in, such as the ones mentioned above, are almost positive to return profit and never go bankrupt. The number one concern when it comes to dividends and investments is the fact that the market is indeed highly volatile. Dividends are not guaranteed, which means that you might end up not making any money at all, and this is a serious matter when you base your entire existence on this sole source of income. Dividends are always taxed at the same rates as ordinary incomes and this means that you might end up paying high taxes for the money you make. Over the past few years, people have taken more and more interest in what their future retirement plans will be. For example, this is one of the reasons why the Liberal Party in Canada has based part of its campaigns on promising retirement support. There seems to be a nationwide trend of finding a way to put money aside for your golden years, so why not give dividends a try?